With less than a month to the start of the 2018 National Women’s League, Northern Football Federation are delighted to announce a team of highly experienced coaching staff to lead Northern for the 2018 campaign. Heading up the coaching staff is Gemma Lewis who joins Northern from cross town rivals Auckland Football. Lewis who is also Assistant Coach to both the NZ U-17 and U-20 Women’s teams is looking forward to working with the Women from Northern and is excited to get the campaign underway. "I’m really excited, it’s going to be a new challenge for me. 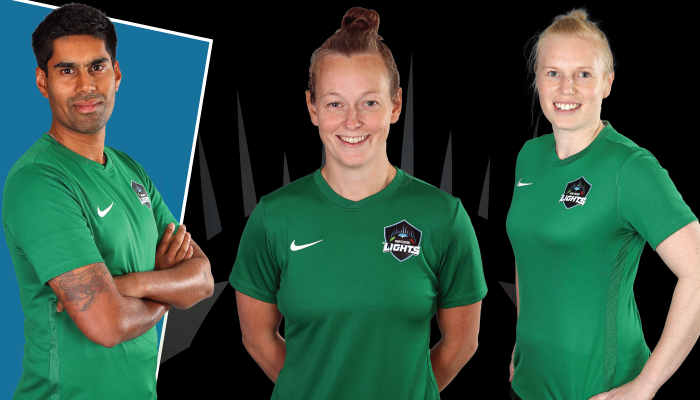 I know there is some really good talent this side of the bridge and I’m really excited to work with the girls and get underway"
Joining Lewis is former Football Ferns Sports Scientist Harriet Steele, former Canterbury Pride Assistant Coach Shane Verma and Goal Keeping coach Kaitlyn Savage. With the changes in the league format for 2018 Lewis believes the quality of the league will only get better and will be even closer than ever. "Going to two rounds and playing everyone twice is going to really open up the league. Last year was really close in terms of the competition and with the changes this year, I think we can get really excited about the league"